The Bachelor fans can apparently rule out Nick Viall as the next star of the franchise. Names for The Bachelor's upcoming Season 22 star have been tossed around for weeks now, but ABC has yet announce whether producers have chosen that lucky man. Since Nick is newly single following his split from ex-fiancee Vanessa Grimaldi, would he be up for the opportunity again -- or another stint on Bachelor in Paradise, perhaps? "I'm definitely done with that," the 36-year-old former software salesman who recently launched his own line of grooming products told Us Weekly. Nick starred on The Bachelor's latest edition earlier this year and got engaged to Vanessa during the show's March finale. Despite their recent breakup, Nick assured the magazine, "I'm very thankful for everything. I don't have regrets. I don't have any regrets. There are still a lot of positive things that came from it, especially my relationship with Vanessa." The couple announced its decision to part ways on August 25. "I'm lucky enough to have friends in Bachelor Nation, like the twins [Haley Ferguson and Emily Ferguson] and [Ashley Iaconetti], [Carly Waddell] and [Evan Bass], [Wells Adams], [Jared Haibon], for sure," Nick explained. "So, you know, I'm lucky enough to have a handful of very close friends. And to me, it's always been important to focus on the people you're really close with. I was very thankful for a lot of people reaching out and kind of giving their best wishes to both Vanessa and I. A lot of friends from Bachelor Nation were some of those people, and we're thankful for them." Nick insisted to Us that his time spent with the Canadian special education teacher was "one hundred percent" a positive thing. "Vanessa and I are still very much each other's support system... I still love her very much. I'm not afraid to say that," Nick admitted on Monday. 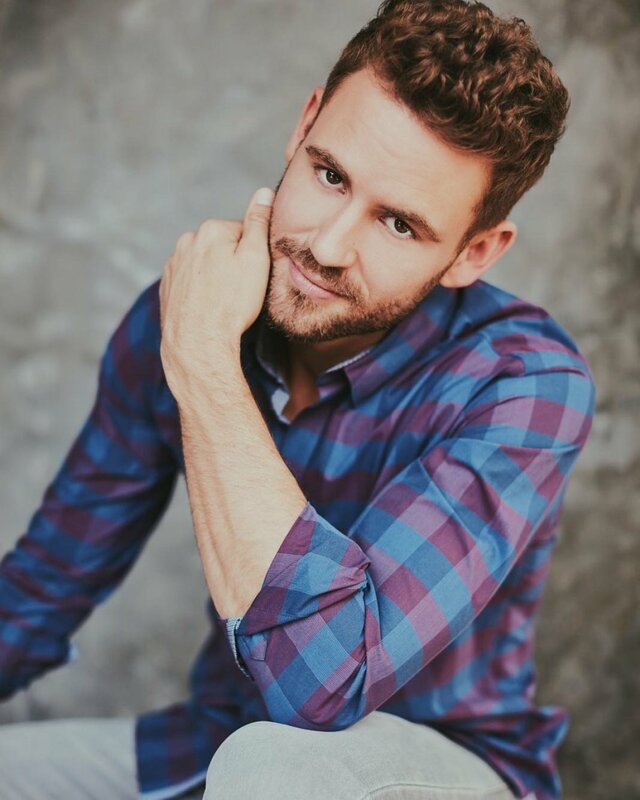 Before becoming the Bachelor, Nick competed on The Bachelorette twice -- once for Andi Dorfman on Season 10 and once for Kaitlyn Bristowe on Season 11. Nick finished as the runner-up both times, leaving the process repeatedly shocked and heartbroken. Nick then tested his luck on Bachelor in Paradise 3 last summer. Although he had a romantic fling with bachelorette Jennifer Saviano, Nick didn't fall in love with her, so the journey ended badly for him once again.